1. They have very few or questionable references. Testimonials are good only if they include the persons full name and business. Ask about contacting some of these people or other references directly. If they seem resistant or they won’t allow it, they may be exaggerating their experience or skills. 2. You aren’t provided with a portfolio of their past work. Seeing the results of work with past clients goes along way to proving their expertise and credibility. Designers should offer a sampling of up to 5 past sites they designed. SEO experts should be able to give up to 5 examples of sites that they improved the ranking for, and the keywords they were targeted and ranked for. Make sure to check they appear the way they claim they do. 3. They can’t provide a clear explanation of their methods. If they can’t give you a breakdown of their marketing or design methods and strategies, you should seriously question their effectiveness. For example, an SEO expert may claim to have discovered a way to skyrocket your results by tricking googles algorithm. If it is possible, the boost would only last until Google discovered it and altered the algorithm. 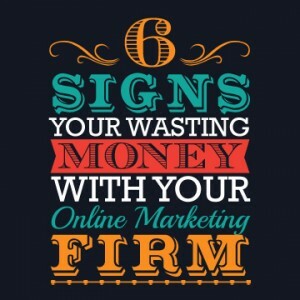 This can turn out to be a waste and your site could end up penalized for it. 4. They have bad reviews. It’s best to check their past record by doing a search for past customer reviews. Be sure to look beyond the immediate results. With ways to bury negative reviews you should do a little digging. You may also want to even ask around in online groups or forums. 5. They make over the top guarantees. Some SEO experts make promises to have your site in the top rankings in a couple of months and even a particular percentage increase in sales. Reliable methods for boosting rank include good website design, high-quality, optimized content, and honest link-building. All of these take a lot of time and effort, making several months a more accurate timeline for seeing significant results. It’s also very difficult to predict sales based on online marketing activities. They should be able to provide plenty of evidence to back up their claim. 6. Their prices are bargain basement low. Be very cautious if the offer sounds too good to be true, they may not be very helpful to you. Good online marketing and SEO requires a lot of time and a skilled professional that usually charges quite a bit. For some information on pricing you should read this post, http://moz.com/blog/seo-pricing-costs-of-services, the result of a survey of SEO agencies and consultants conducted in December of 2011. Do a little research and shop around to get a better idea of what you’ll need to spent to reach your goals.